Beautiful Young Woman Applying Blush With Brush And Looking Into.. Stock Photo, Picture And Royalty Free Image. Image 49142153. 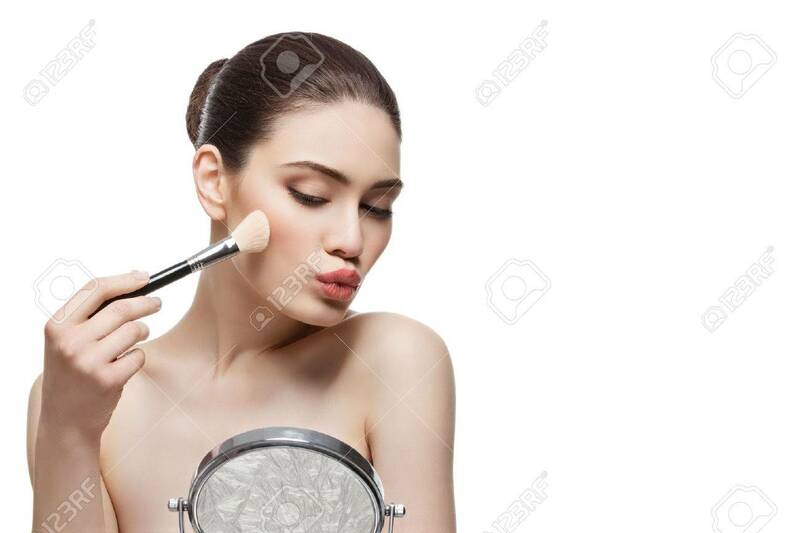 Stock Photo - Beautiful young woman applying blush with brush and looking into table mirror. Isolated over white background. Copy space. Beautiful young woman applying blush with brush and looking into table mirror. Isolated over white background. Copy space.